Corporate “green” initiatives are becoming increasingly popular, but this phenomenon is nothing new to Willow Tree Farm. Willow Tree Farm has strived to “reduce, reuse, and recycle” for many years. 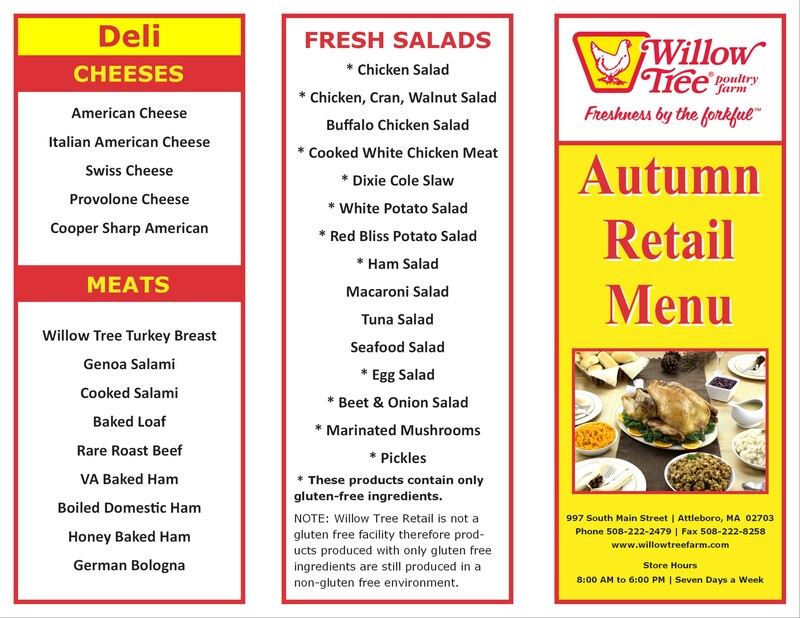 One of Willow Tree’s more interesting green initiatives is the recycling of all its waste oil generated at its Attleboro store where chicken and other foods are deep fried. All of Willow Tree’s waste oil is stored in a large enclosed container and then picked up by Life Cycle Renewables. Life Cycle Renewables converts that waste oil to energy for electricity and heat. A relatively easy, yet clever, reuse of energy has been implemented in Willow Tree’s plant through the use of air compressors. During operation, a great deal of clean hot air is generated from the air compressors. During the summer, that hot air is vented out through the roof. During the winter, however, the hot air is circulated back through the plant to help heat the warehouse. Some measures are more straightforward. For instance, Willow Tree recycles anything that can be recycled. All the cardboard boxes it receives are broken down, bundled and recycled. All the plastic containers are put in Willow Tree’s single-stream recycling system. 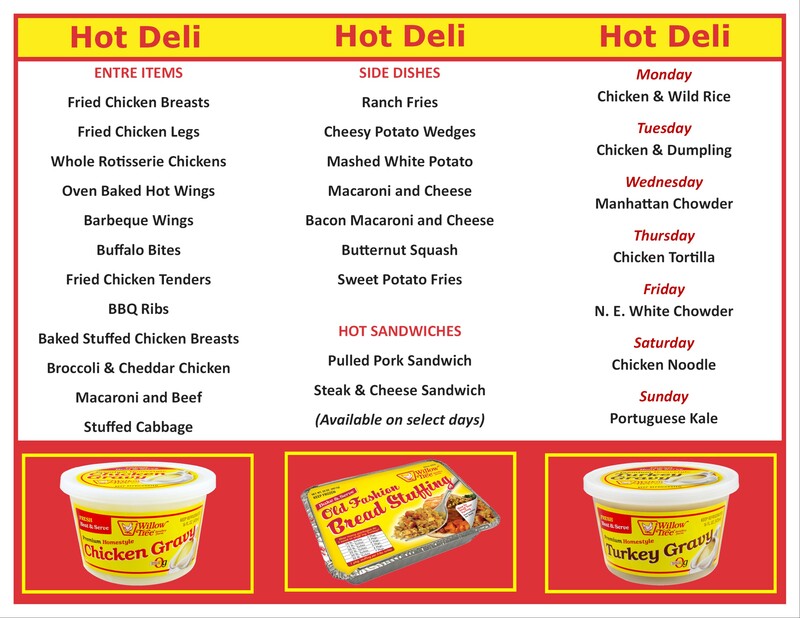 In years past, Willow Tree received its raw chicken packaged in 40 pound boxes. 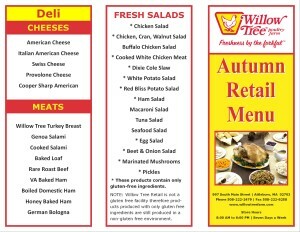 Now, Willow Tree receives chicken in 2,000 pound totes. That change has resulted in a large reduction in packaging. Consumers can even see some of Willow Tree’s efforts by taking a look at its products. 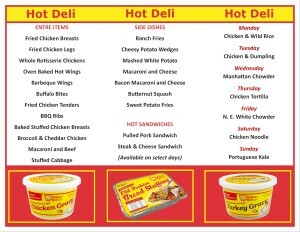 On every Willow Tree Chicken Pie box, for instance, you’ll see two logos on the side. One represents FSC, the Forest Stewardship Council. FSC’s mission is to promote environmentally sound, socially beneficial and economically prosperous management of the world’s forests. 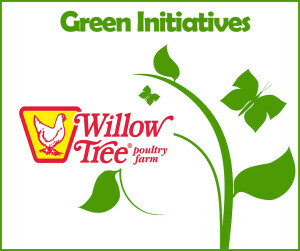 The designation on the box indicates that Willow Tree’s packaging is derived from responsible sources. The other logo you’ll find on the box indicates that the box is produced through the use of 100% wind energy. Willow Tree believes so strongly in wind energy that since 2012, all the energy used in its plant, office and retail store is 100% wind energy. Willow Tree Farm even pays extra for wind energy. As Willow Tree Farm sees it, being “green” makes sense on many levels. It’s great for the environment, but it’s also great for any company’s bottom line. “It’s definitely a win-win,” Alex said.